I do love the Essie formula for their nail varnish, I will admit I only have a few of their polishes and was really impressed with how the polish glides on and gives a perfect finish. 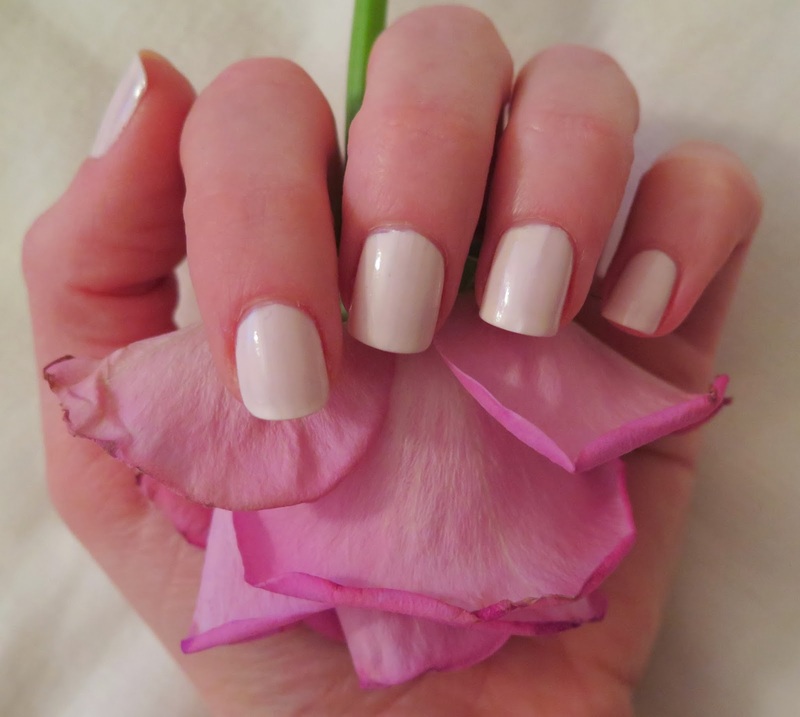 However, I hastily bought a very pale pink before Christmas and so far hadn't got round to trying it. Yesterday morning I decided it was time to dive in and give it a go. I was concerned after the first nail that I painted, I looked at it and was so underwhelmed with the colour. Now I know this is completely speculative, what I hate another person may love. The colour is very very pale, bordering on white and I didn't like it to start with, but the shade has grown on me and my boyfriend commented on how nice my nails look, so for him it was a winner! However here comes the down side, it lacked the usual easy non streaky glide of the Essie formula. For some reason the coverage of this shade was terrible. The first coat was streaky and frankly looked ugly. I am used to only having to use one coat with my other Essie polish, but I persisted and applied another coat expecting this to do the trick. To my dismay it still looked streaky in places and didn't leave my nails with a lovely smooth finish I would have wanted. For me this particula shade gets a thumbs down and may live it out the rest of its days hiding at the back of a drawer. This colour looks fab on your nails. Oh thank you, that's really sweet.